For more information or to schedule a consultation with Dr. Moya or Dr. Maida, call our office in Houston, TX at Houston Office Phone Number 713-457-6337, or request an appointment online. Using the most recent advances in dental implant technology, Drs. Moya or Maida is able to place single stage implants. These implants do not require a second procedure to uncover them but do require a minimum of six weeks of healing time before artificial teeth are placed. There are even situations where the implant can be placed at the same time as the tooth extraction – further minimizing your number of surgical procedures. 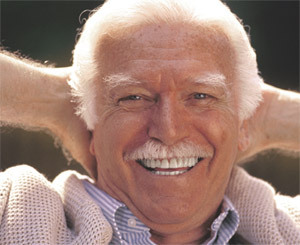 We are currently living in the best possible time for dental implants. Houston Oral Surgery Associate’s diagnostic and treatment equipment allow us to be precise and non-invasive making the procedure short, predictable and the recovery very simple. Dental implants are changing the way people live. They are currently the best standard of care for tooth replacement. They are designed to provide a foundation which look, feels and functions just like natural teeth. The person who has lost teeth regains the ability to eat virtually anything, knowing that teeth appear natural and that facial contours will be preserved so they can smile with confidence. Dental implant placement is a team effort between an oral and maxillofacial surgeon and a restorative dentist. Drs. Moya or Maida performs the actual implant surgery, initial tooth extractions, and bone grafting if necessary. The restorative dentist (your dentist) fits and makes the permanent prosthesis. Your dentist will also make any temporary prosthesis needed during the implant process. 5 out of 5 stars based on 19 Dental Implants reviews. Very pleased! No pain, no problems! Extremely professional staff and very friendly, welcoming and they make sure you are comfortable, informed and attended to in a timely fashion! Dr. Moya is very thorough in explaining procedures and makes you feel comfortable and is very knowledgable and professional while being down to earth. I was not thrilled to learn that a root canal had "failed". DR MOYA & his staff did an amazing job getting my molar out with no pain, no bruising & very fast recovery. I was TOTALLY amazed at how easy such a major procedure ended up being. These guys are good!